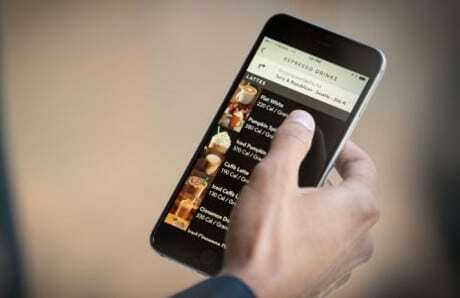 US consumers can now place orders from coffee giant Starbucks by speaking into the Starbucks iOS mobile app or to Amazon’s virtual assistant Alexa. The move comes as the company reveals that mobile orders made up 7% of all its US transactions in the last quarter, with mobile payments now accounting for 27%. Chinese internet giant Tencent’s WeChat Pay mobile payments platform now also represents 20% of total transactions in China, Johnson added, following its launch across 2,500 Starbucks locations in December 2016. The My Starbucks Barista voice-activated feature is being added to Mobile Order & Pay and is currently available in beta for 1,000 customers ahead of a phased rollout this summer. The Starbucks Reorder Skill for Alexa is also being enabled through Mobile Order & Pay and lets customers make reorders wherever they have an Alexa device. “My Starbucks Barista is powered by groundbreaking Artificial Intelligence (AI) for the Starbucks mobile app,” the company says. “The integration of the feature within the mobile app allows customers to order and pay for their food and beverage items simply by using their voice.